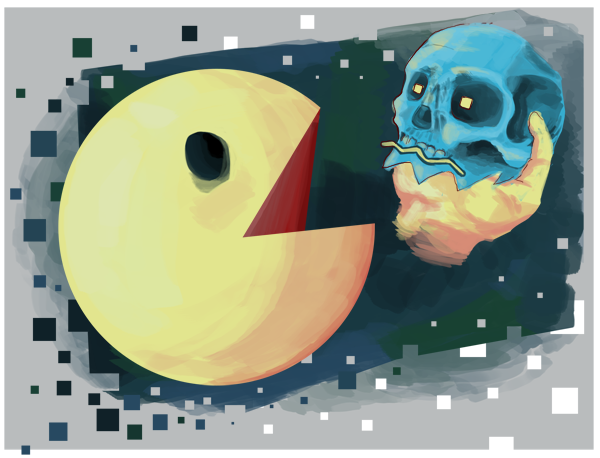 Pac-Man eats or is eaten. your house with wine, your head with songs. wandering in a multi-layered labyrinth? is in pursuit of an MFA from the Helen Zell Writers' Program at the University of Michigan. Her work has appeared or is forthcoming in Ilk; Revolver; A Clean, Well-Lighted Place; and Whiskey Island. She has a twin; he is not a poet.